HARTING offers a wide range of insulation displacement connector systems for ribbon cables that are designed for cable-to-board applications throughout a variety of sectors. HARTING tailors each IDC connector to your custom requirements, along with the appropriate cable type to simplify your installation and warehousing. The PCB connectors are available in various termination techniques: with solder termination (for manual, wave or reflow soldering) and press-fit technology. The different types have between 6 and 64 contacts. The cable connectors are suitable both for use within the device or for establishing connections between devices. Thus, IDC connectors provide a versatile solution suitable for any application. Technology that has been proven in millions of actual applications. Both straight and 90° angled contacts are available. Stable locking levers are used for establishing secure connections to male or female connector strips. The female connectors are available optionally with strain relief. The low height of 9.4 mm allows you to save space. They also guarantee secure connections – even in confined spaces. 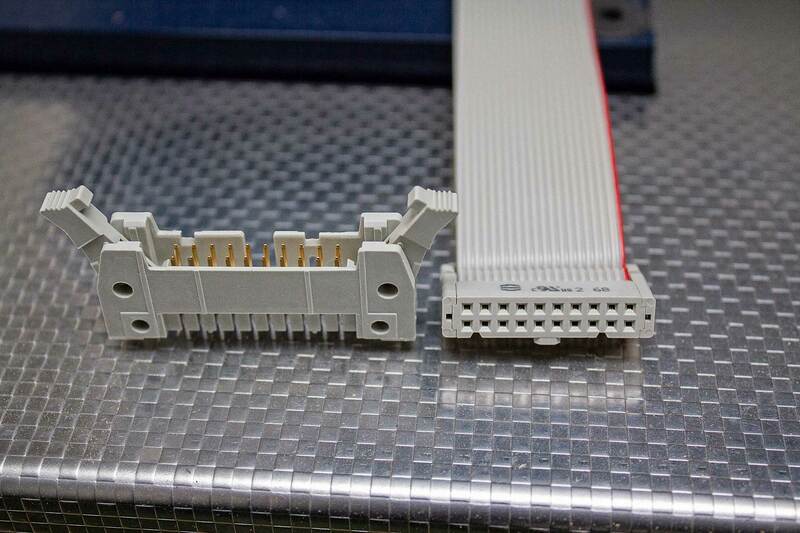 Connectors suitable for through hole reflow soldering are made of temperature-resistant plastic (PCT). Because of their tape & reel packaging, the IDC connectors can be integrated in automatic "Pick & Place" assembly processes and processed with other SMD components. This simplifies the PCB assembly process and reduces process costs. This cost-effective solution without plug-in complexity is made possible by directly connecting the ribbon cable to the circuit board. HARTING offers two-row or four-row PCB connectors for this purpose.